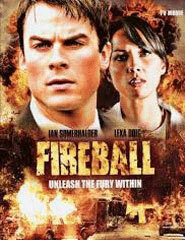 produced the action/thriller starring Ian Somerhalder (“Lost” and “The Vampire Diaries”). This is the latest success by Wenman, who has built a career penning mainly thriller features, many of which were scripts of his discovered on InkTip. He is currently writing a blockbuster project with producer Tom DeSanto (“Transformers,” “X-Men”).